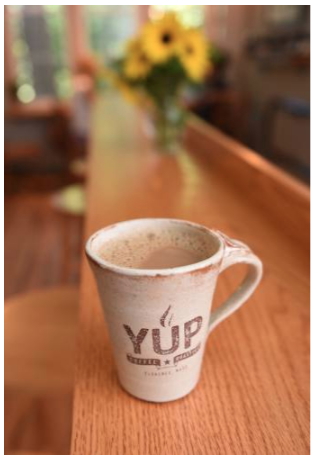 YUP is a craft coffee roastery with an adjoining café serving our freshly roasted organic, fair trade coffees, along with pastries, bagels, and teas, on the banks of the beautiful Mill River in Northampton, Massachusetts, in the village of Florence. We carefully select beans in season from coffee farms practicing social and environmental responsibility. All of our coffees are organic and either certified fair trade or from farmer cooperatives. Many have additional certifications including shade grown, rainforest alliance, or bird friendly. Manual roasting in small batches allows us to bring out the full flavor and complexity each coffee varietal has to offer. We develop beans to perfection based on their unique profiles, without over roasting. The result? A cup of coffee that will make you want to close your eyes with every sip and say, "Mmmm!" We're family owned and operated, and proud to be part of a community of vibrant local businesses in Western Massachusetts. 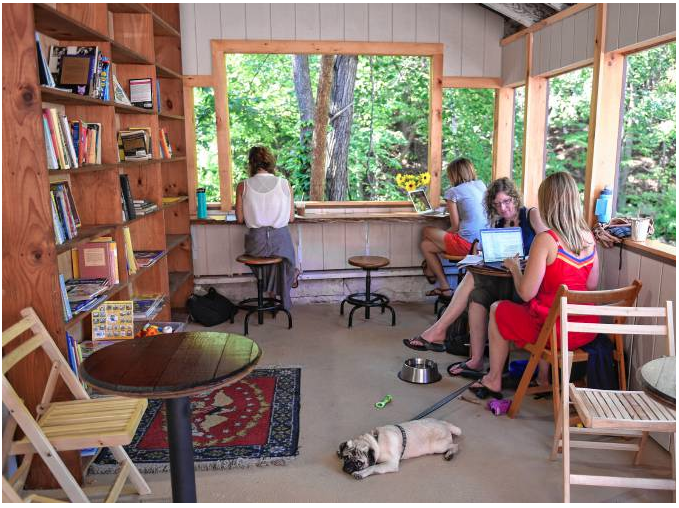 So stop by the roastery, meet some friends and neighbors or savor a quiet moment to yourself, and enjoy the sights and sounds of the river over a great cup of coffee. You may even get to see your coffee being roasted! Winter Hours: Reopening April 29th! YUP. /yəp/ : A positive or affirmative exclamation commonly heard in New England. We're at 296 Nonotuck Street, Florence, MA 01062, tucked behind the Nonotuck Mill Building, on the side nearest to Pine Street. For a map and directions, click below. Sign Up Here For Our News, Events, and Coffee. Your contact info is one thing we'll never share. We strive to love and never swamp your inbox. GOT IT! THANKS FOR SIGNING UP!